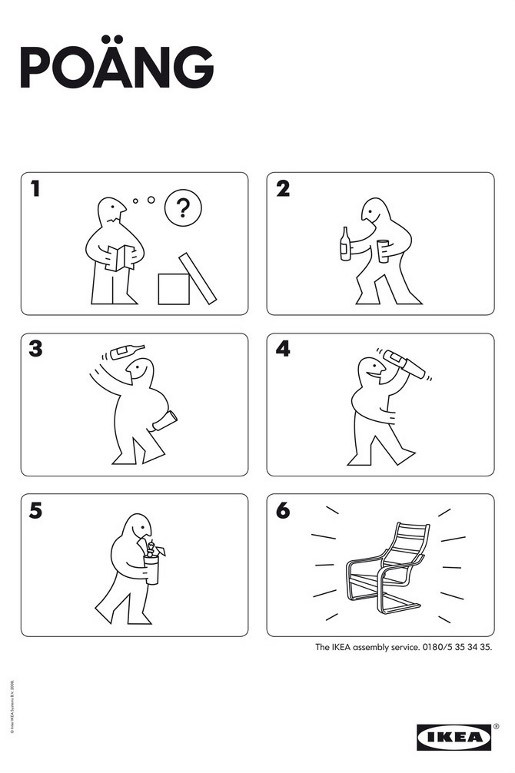 IKEA is advertising its assembly service in Germany with a humorous set of “How To Assemble” diagrams, listing from 1 to 6 steps for the FORSBY dining table, POÄNG armchair and BILLY shelves. 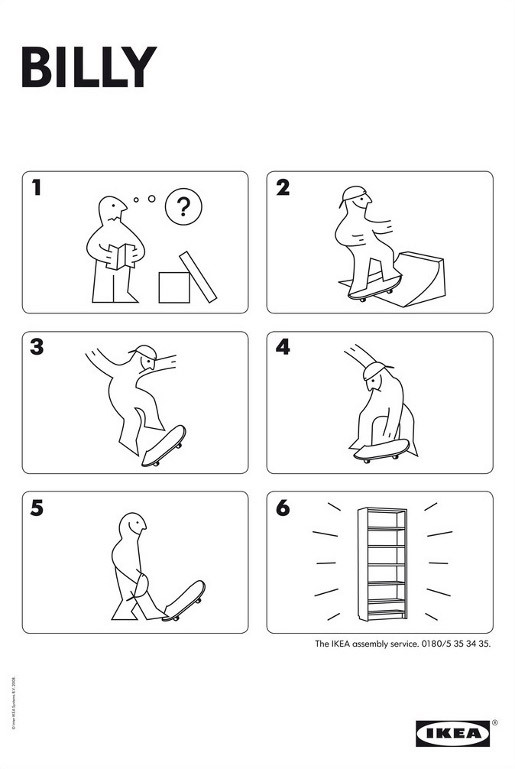 Phone IKEA Assembly Service and just relax with your favourite activity. Before you know it, your new furniture will be assembled for you! 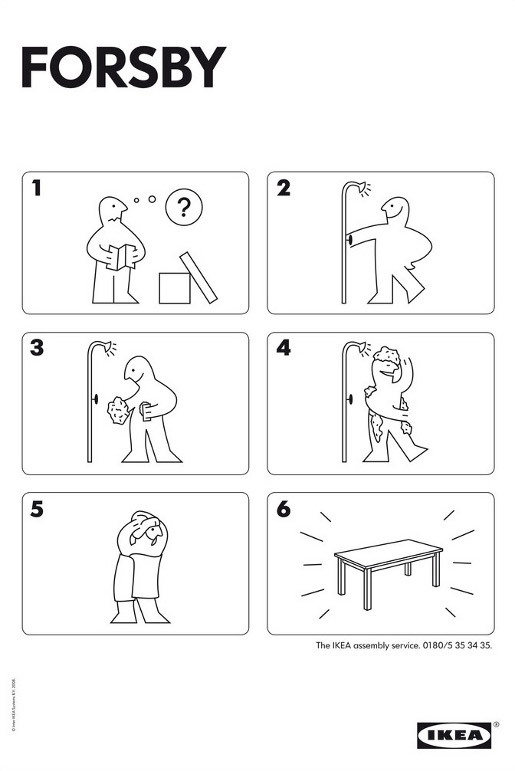 IKEA’s Assembly Service campaign was developed at Grabarz & Partner, Hamburg, Germany, by executive creative director Ralf Heuel, creative director Dirk Siebenhaar, art director Jan Woelfel, copywriter Jennifer Bohn, account executive Julia Wilhelm, illustrator/graphic artist Annette Witzig.